VANCOUVER - Quarterback Travis Lulay says he's relieved to sign a one-year deal with the B.C. Lions but isn't sure if he will have recovered from off-season knee surgery in time for the start of training camp. "To know the Lions value having me back, and I have an opportunity to play another year for the franchise ... that's a relief and an encouraging thing,'' Lulay said in a telephone interview Monday. "Everyone is encouraged,'' he said. "That being said, there is a lot of work ahead. Lulay, a former CFL most outstanding player, was scheduled to become a free agent on Tuesday. An agreement was reached after he sat down with new Lions' general manager Ed Hervey last week. Lions head coach Wally Buono said Lulay is valuable both as a player and a leader in the dressing room. 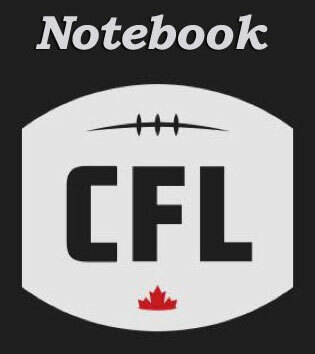 MONTREAL - John Bowman will return for a 13th CFL season. The Montreal Alouettes announced Monday that Bowman, the club's all-time sacks leader with 121, will play in 2018. Bowman, 35, has recorded 10 or more sacks in a season seven times. "We are happy to have John return to the field with us in 2018,'' GM Kavis Reed said in a statement. "Throughout his career, he has been a true leader on the field and in the locker room. The six-foot-three, 250-pound Bowman, a native of Brooklyn, N.Y., had a team-high nine sacks last season. Bowman has started 194 of his 200 career CFL games. He's been named a league all-star twice and helped Montreal win Grey Cups in 2009 and 2010. OTTAWA - The Ottawa Redblacks signed American defensive Jonathan Rose to a one-year contract extension Monday. Ottawa also signed former Winnipeg quarterback Dominique Davis while releasing veteran passer Drew Tate. Rose has spent the last two seasons with Ottawa. He had 53 tackles and two interceptions last year and over 33 career games has 108 tackles, three interceptions and a sack. "It's important to retain good football players while providing continuity on the defensive side of the ball,'' Ottawa GM Marcel Desjardins said in a statement. Tate, 33, spent last season with Ottawa after being acquired Feb. 21, 2017 from the Calgary Stampeders. He appeared in three games in 2017, completing 30-of-43 passes for 338 yards with three touchdowns and an interception while running twice for 12 yards. The six-foot, 190-pound Tate spent his first eight CFL seasons with Calgary, completing 380-of-572 passes for 4,670 yards with 32 TDs and 15 interceptions. He also rushed for 617yards on 160 carries and scored 24 touchdowns. The six-foot-three, 215-pound Davis spent three seasons with the Winnipeg Blue Bombers, appearing in 47 career games but making just one start. The 28-year-old has completed 33-of-54 passes for 377 yards while rushing for 66 yards on 16 carries. HAMILTON - The Hamilton Tiger-Cats signed American receiver Luke Tasker to a two-year contract extension Monday. Tasker was eligible to become a free agent Tuesday. "Luke is a leader in our locker room and has developed into one of the best receivers in the Canadian Football League,'' head coach June Jones said in a statement. "He's got an outstanding skill set, and his unselfish play and toughness are exactly the kind of attributes that we want to personify in the football team. Tasker, 27, registered career highs in games (18), catches (104), receiving yards (1,167) and receiving TDs (seven) last season. He set a club record for most receptions in a season. The native of Buffalo, N.Y., has spent his entire five-year CFL career with Hamilton, having registered 341 receptions for 4,224 yards and 24 TDs. Drew Tate may be just the player that the Alouettes need and a chance for him to finally have a team he can lead as the #1! Beautiful how everything is falling into place around the league. Is it May yet?